O Novo Jetta além de ser chamado de medíocre nas palavras de Dan Carney, autor do artigo “By cutting costs, VW made a mediocre Jetta” (veja link abaixo), agora decepciona ainda mais o pessoal do renomado e respeitado Consumer Reports. No teste de 11 modelos do segmento, o Jetta simplesmente ficou em último lugar. Os engenheiros da publicação encontraram falhas no novo e medíocre Jetta em quesitos como agilidade, curvas, no motor ordinário, freios, acabamento interno, e economia de combustível. Infelizmente, as revistas e publicações brasileiras insistem e não se cansam de elogiar o novo Jetta, e procuram encontrar ou forçar qualidades no novo Jetta. Lamentável, para não dizer vergonhoso. Mas e o que o consumidor brasileiro ganha com isso? David Champion, Diretor Sênior do Centro de Teste do Consumer Reports em East Haddam, CT diz que a VW barateou o interior e suspensão do novo Jetta numa tentativa de baixar o preço inicial, deixando o carro mais barato, mas acabou comprometendo a dirigibilidade. No mesmo teste realizado pelo Consumer Reports, estavam o novo Chevrolet Cruze, Hyundai Elantra, Nissan Sentra, Toyota Corolla, e o Subaru Impreza entre outros. O novo Hyundai Elantra 2011 foi o único modelo do grupo recomendado pela publicação. O Cruze LS, o Scion tC, e o novo Jetta tiveram pontuação muito baixa para serem recomendados, mas entre todos os modelos, o novo Jetta foi o pior. O novo Jetta decepciona quando o assunto é desempenho. A publicação elogia o banco traseiro, e o espaço no porta-malas, mas crítica a dirigibilidade e a capacidade de fazer curvas, bem como o acabamento do interior. A versão testada era a SE, equipada com o motor de cinco cilindros, 2,5l e 170hp. Segundo a publicação, com esse motor ruidoso, o Jetta tem aceleração apenas adequada, consegue um péssimo consumo de 25mpg (10,5 Km/l). O câmbio automático de 6 velocidades foi criticado por ser lento nas reduções, e os freios foram criticados pelas longas distâncias. Imaginem se a publicação tivesse testado a versão de entrada com o péssimo e obsoleto motor 2.0 de 116 cv? Em outras palavras, o novo Jetta se salva apenas no quesito porta malas e espaço traseiro, porque no resto o medíocre Jetta é uma verdadeira decepção. The newly redesigned Volkswagen Jetta now ranks last among the 11 small sedans that have been tested by Consumer Reports. Engineers found fault with its agility, cornering grip, coarse engine, braking, interior fit and finish, and so-so fuel economy. The four-vehicle small sedan test group also featured two versions of the new Chevrolet Cruze—which CR found light-years ahead of the crude Chevrolet Cobalt that it replaced — and the latest generation Hyundai Elantra. The Cruze now ranks mid-pack among the 11 small sedans tested, with a Very Good overall score. The two versions tested handled nicely and felt substantial. But a tight rear seat and so-so fuel economy for this class reduced the Cruze’s overall scores. Consumer Reports’ findings on the newly redesigned Elantra were highlighted last month in CR’s Annual Auto Issue, where it was named a Top Pick in its category. It currently ranks as the best small sedan that’s been tested by the publication, followed by the Nissan Sentra, Subaru Impreza and Toyota Corolla, in descending order. The Sentra, Impreza and Corolla had all been tested previously. The redesigned Ford Focus just went on sale; Consumer Reports will be testing one in the months ahead. Prices for the small sedans tested in this group ranged from $18,375 for the Cruze LS to $20,530 for the Cruze LT. The issue also features a test of the redesigned Scion tC coupe and ratings of car batteries including four from a new lower-cost line of batteries called PlusStart that performed well. The Elantra is the only vehicle in the test group that is Recommended. The Cruze LS, Scion tC, and Volkswagen Jetta scored too low to be Recommended. The Cruze LT is too new for Consumer Reports to have adequate reliability data to Recommend. Consumer Reports only recommends vehicles that have performed well in its tests, have at least average predicted reliability based on CR’s Annual Auto Survey of its more than seven million print and Web subscribers, and performed at least adequately if crash-tested or included in a government rollover test. The wagon version of the Jetta, called the SportWagen, is based on the previous generation of the vehicle; the SportWagen is still Recommended. Full tests and ratings for all five of these test vehicles appear in the May issue of Consumer Reports, which goes on sale April 5th. The reports are also available to subscribers ofwww.ConsumerReports.org. Updated daily, ConsumerReports.org is the go-to site for the latest auto reviews, product news, blogs on breaking news and car buying information. The redesigned Hyundai Elantra combines nimble handling with a comfortable, well-controlled ride. The interior is well equipped and neatly laid out. Quick, responsive steering and little body lean help the Elantra feel agile. Emergency handling is very secure. The Elantra GLS ($18,445 MSRP as tested,) is powered by a 148-hp, 1.8-liter four-cylinder engine that provides decent performance and gets 29 mpg overall in CR’s own fuel economy tests. The six-speed automatic transmission shifts smoothly and responsively. Braking is Very Good. Fit and finish is good for the class. The trunk is spacious. CR expects reliability to be above average like the previous Elantra. The Chevrolet Cruze handles nicely and has a taut and controlled ride. Its relatively heavy weight—as much as some larger mid-sized family sedans—hampers fuel economy and acceleration. The Cruze LS ($18,375 MSRP as tested), is powered by a 138-hp, 1.8-liter four cylinder engine. The uplevel Chevrolet Cruze LT ($20,530 MSRP as tested,) is powered by a 138-hp 1.4 liter turbocharged four cylinder. Both engines perform adequately and get 26 mpg overall, but the LT’s engine is more responsive and refined. The six-speed automatic transmission shifts smoothly. Braking is Very Good. The well-finished cabin is one of the nicest in this class, but the rear seat is tight. There is a good-sized trunk. Some popular and important features, like power mirrors, are unavailable on the Cruze LS. 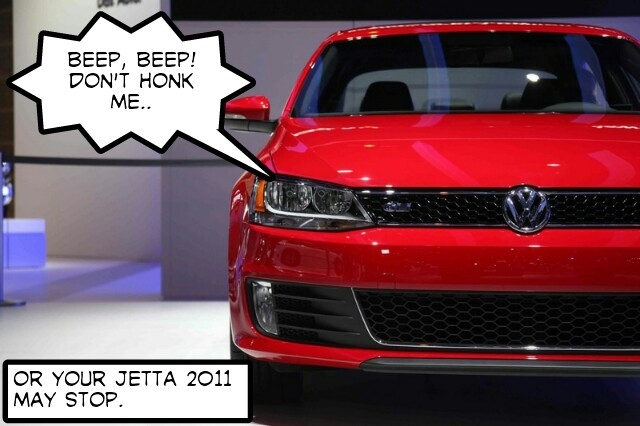 The redesigned Volkswagen Jetta is a shadow of the agile, well-finished car it once was. The rear seat is roomier and the trunk is huge, but handling agility and cornering grip now fall short, as does the finish inside the formerly impeccable interior. The Jetta SE ($20,800 MSRP as tested), is powered by a coarse-sounding 170-hp, 2.5-liter five-cylinder engine that gives adequate acceleration and gets 25 mpg overall. The six-speed automatic transmission can be slow to downshift. Braking distances are long. Cargo space can be expanded by folding the 60/40 rear seatback. The redesigned Scion tC is a well-equipped coupe that provides responsive handling as well as very good fuel economy and acceleration. A jittery ride, noisy cabin, and limited rear visibility are low points. The Scion tC ($19,165 MSRP as tested), is powered by a 180-hp, 2.5-liter four-cylinder engine that is responsive and gets an impressive 28 mpg. The six-speed manual transmission shifts precisely, and effortlessly, but it lacks the sporty feel of the best shifters. Braking is Very Good. Fit and finish are unimpressive. Cargo space is good and the 60/40-split rear seatbacks fold to create a generous hatchback bay.